St. Louis’ Forest Park Southeast Neighborhood (now known as The Grove) is adjacent to Forest Park and Washington University Medical Center and near the zoo, art museum, science center, St. Louis University High School, Missouri Botanical (Shaw’s) Gardens, and the Central West End Metrolink Station. Downtown and Clayton are only a ten-minute drive away. MetroLink is within walking distance and served by six bus lines in the neighborhood. 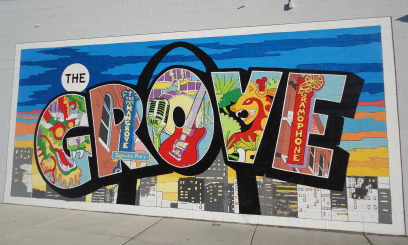 The Grove is an eclectic up-and-coming neighborhood with vibrant energy, night life, restaurants and street festivals. It is home to St. Louis’ artist, cycling, and LGBT communities, as well as the free popular GROVEFEST, an annual gathering of musical acts, street performers and vendors. Forest Park Southeast has been desirable place to live for more than 100 years and continues to be so today because of its historical and architectural charm, and its walkable distance to Forest Park, the Wash U Medical School and the Central West End.